Who doesn’t love that you get to drink not one, but four glasses of wine during Passover?! I know it definitely makes our family’s Passover seder a bit more fun than normal. That fourth glass alone is practically liquid courage to sing louder than normal at the end of the seder, right? Now I took it upon myself (and a few good friends who helped the cause) to test out a few of the kosher for Passover wine choices out there… you’re welcome. Now. since choosing the Passover wine isn’t usually my job, I was not really sure of what my choices at my local Total Wine would be other than maybe a few bottles the sweet, sweet Manischewitz Wine. I was surprised to see so many choices! My original plan of just choosing a bunch of random wines to try quickly changed to figuring out a strategy to make tasting enjoyable but productive… I mean come on, this was “research” after all! I decided to choose three brands of wine and a white and red from each making the types of wines as comparable as possible. Bonus… all of these wines were definitely budget friendly falling at under $20 each at Total Wine! 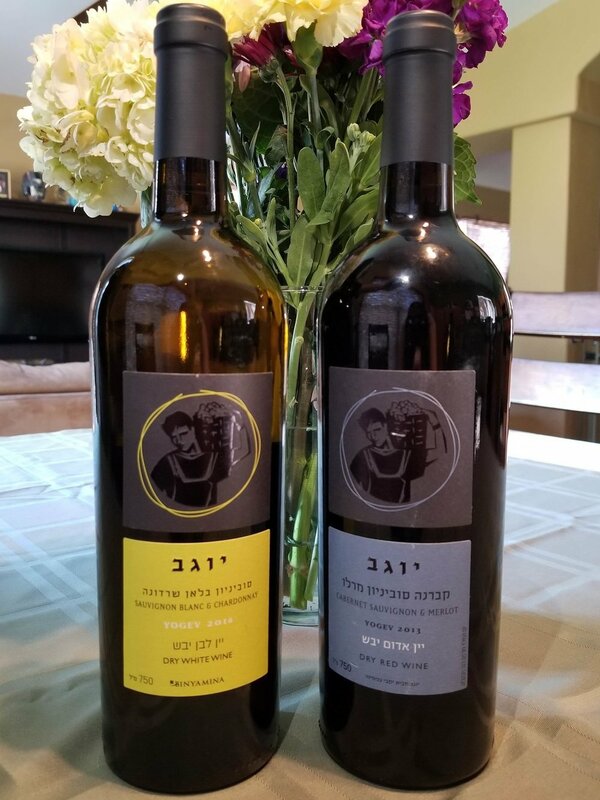 So I give you our Passover wine review, and if you try one of these or another favorite, don’t forget to let me know what you think by sending me a note at editor@jewphx.com or tag @jewphx in your Facebook and Instagram posts! A few weeks ago, Makor hosted a unique kosher wine tasting with about 20 people held at a private home. The evening was described as “intimate and lovely” by host Arthur Rothstein. Here is a list of the wines that were tasted that evening, which Arthur said were all delicious.